Previous Article How sustainable is your menu? Every year, somewhere along the road from farms to processing plants, restaurants, and households, 1.3 billion tons of food wind up in the trash rather than in our stomachs. It’s an astonishing and thought-provoking statistic — think of the valuable environmental resources we’re wasting. And think of the money! When it comes to avoiding food waste in company canteens, the relationship between environmental awareness and economic efficiency is a happy one, because reducing food waste is both eco-friendly and budget-friendly. Your most important key figure here are your production costs— knowing how much you bring in vs. how much you spend on raw materials and labor will tell you how efficient your business model is. When you’re just starting out on your campaign to prevent food waste, you may want to calculate your production costs as frequently as possible, perhaps even once a week. That way, you can react quickly and keep optimizing your process. “From nose to tail” has been a popular theme on the gastro-event scene for some time now. Pigs aren’t tenderloins on four legs, after all, and many top chefs are inviting colleagues to join them at “cook tanks”, where they collaborate to develop recipes that will make the less-popular parts of the animal more appealing to the masses. Thus, the food waste emergency has become a culinary virtue, and the idea is easy to extend to other products: bones, for example, can be used to make a great stock before they land in the trash. It’s easy to find new uses for vegetable scraps, too. Who says that the green part of the carrot is only decoration, or that potatoes have to be served peeled? 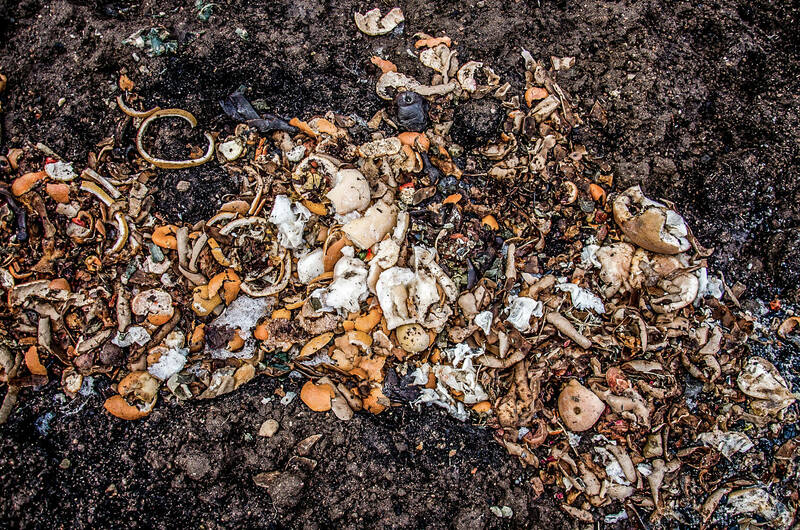 You can plan, optimize, and check all you like, but food waste isn’t something you can just edit on the computer. Communication and employee training are the be-all and end-all, and they need to happen again and again. It’s easy to forget new policies when things get stressful in the kitchen, and it’s important to give new employees consistent follow-up training to make sure that everyone’s on the same track. It can help to offer incentives, or to encourage a little friendly competition: who can come up with the most creative way to reduce food waste? Speaking of communication: Get your customers on board! Preventing food waste isn’t miserly, it’s trendy, and your customers are part of the equation. Flexibility in service, flexibility in menu item combinations, smaller portion sizes with the option of “seconds”, and prices based on weight can help diners become more aware of food waste and mean smaller quantities of leftovers on their plates. As with employees, communication is key: when someone strolls in at 1:30 pm for lunch and not everything is available in unlimited quantities, they’ll be a lot more understanding if they know your reasons. Besides employees and customers, you’ve got one other powerful ally in your battle against food waste: technology. There are a number of digital tools out there to help you use food more efficiently. Use them! For example: Counter systems can track how much food is being served to your customers in how many portions, to help you plan future menu rotations. Intelligent refrigerated storage can help you manage your purchasing process: it knows not only what you’ve got on hand, but how long you’ve got until it expires. A well-structured recipe database allows you to plan and produce precise quantities of specific dishes, which smooths out mealtime rushes and makes it easier to prepare small extra batches. In some circumstances, digitization solutions for your kitchen operations can be a useful investment to help you plan even more precisely. No question: re-organizing processes, training staff, and updating existing technology requires both time and money. Is it worth it? There’s no blanket answer to that question, but a little optimism is definitely warranted: you’re saving on raw materials as well as on trash collection, so the investment can pay off surprisingly quickly.